Once upon a time, Gnome 2 was the perfect desktop environment. It was balanced. It combined beauty and simplicity in an elegant, bulletproof package. You had everything you needed, plus stability, plus performance. Then, Gnome 3 came along and took most of this away. Fast forward many years, Gnome 3 still hasn't reached the level of friendliness that its predecessor had. The void created by the demise of Gnome 2 was filled by MATE, a fork that tries to keep the old alive and running. Fast forward many years, it is still around, still relevant, and the recent 1.20 release brings many goodies, albeit nerdy ones, to the proverbial table (or desk if you will). Testing time, excellent! While MATE 1.20 is there, ready and beckoning, testing is a different matter. I had a very tough time getting this desktop environment installed. Most distributions only have the 1.18 release (in the best case). Ubuntu has a PPA, which is sweet, except it throws an ugly error, and no matter how much I tried, I just couldn't get around the problem. E: The repository 'http://ppa.launchpad.net/jonathonf/mate-1.20/ubuntu artful Release' does not have a Release file. 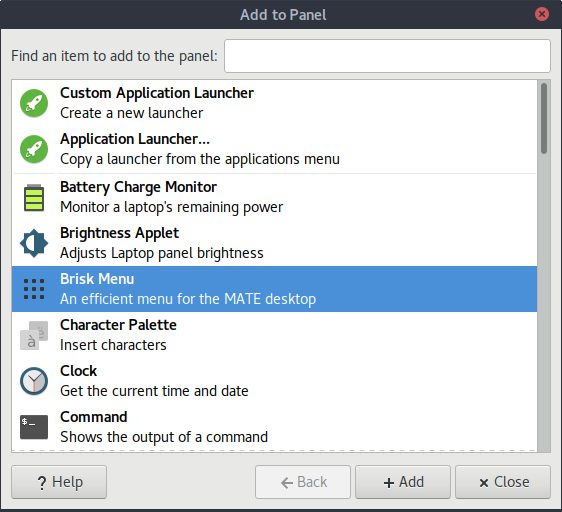 Looking at the MATE site, there just isn't a live CD demonstrator the way KDE (neon) offers, for example. It's a shame, because if you do want to test, you need to go through hoops. Luckily, my eight-boot setup on the G50 box also includes MX-17 Horizon, and that's Debian-based, and Debian unstable doth have MATE 1.20 in the repos. Now, MX Linux is based on the stable release, so I had to hax0r the system to get the desktop environment. This is a risky operation, as it changes the entire system - once I had MATE installed, I also had another 1,200 updates from the unstable repo available. I didn't get those, but once you're committed, it's very hard not to change the baseline of your system. You do not really need this entire line, and you can try with meta packages (core, desktop, etc), but I added all of these so that my testing experience be complete and include all the relevant programs. I mentioned the system baseline changing, and indeed, some of these dependencies will also bring a new glibc version. We will talk about restoring system defaults later on. Hint, I was able to roll back to stable without too many difficulties, so it's a fully reversible and relatively safe operation. Once MATE was installed, I logged out, selected the right option in the login screen, and ... let the testing commence! An immediate observation is - MATE is intrusive. If you already have Xfce installed, which is the default for MX Linux, the two will interfere with one another. Some options are commonly shared, including various startup applications, certain decorations and such. I ended up with two power managers, two Bluetooth managers, and several other oddities. Conky worked fine but the transparency that you get in the Xfce desktop was gone. But I'm rushing ahead. Let's discuss everything slowly and carefully. The stock look & feel is bad, I'm afraid. Them icons feel so 2003, and the color combo isn't helping either. Conky being framed in a border also made things even more difficult. My first goal was to try to get MATE to look presentable. That meant Arc window borders and Papirus icons. Font clarity is actually pretty good. You get black fonts and reasonable sharpness! Luckily, editing MATE is relatively easy. You do need several menus - but they are all there. Compared to Gnome 3, it's a piece of cake. 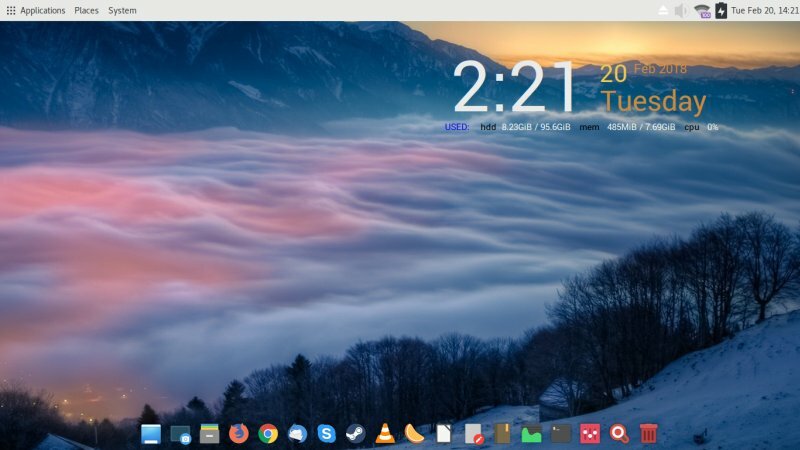 With the successor desktop, you need two browser dependencies, a browser extension, then Gnome Tweak Tool and roughly 4-5 Gnome extensions to get the basic behavior you expect from the desktop, and that's even without going overboard with serious functionality. MATE lets you make all the changes organically, it comes with a pretty handsome Control Center that includes everything. You can also use sub-menus to edit specific categories individually, but this can be a little confusing, plus it adds visual clutter. The one thing MATE did not let me do is - make the desktop icons disappear. Here, I did need to use dconf-editor and make a "tricky" configuration change. Some distributions, like Linux Mint, do have helper tools that work around these, but the stock environment needs some polish. A typical example of bad QA and non-existent integration. Dconf-editor comes with Adwaita looks, ignoring the system layout. It looks like a Gnome 3 app yanked and pasted here, including even the fonts. It also has a huge transparent border. This has nothing to do with MATE, and yet, it's there. This also extends to the system menu. The three-section menu is simple, but it feels a bit cumbersome in 2018, and there's no inline search. MATE does offer its own search-enabled menu called Brisk, and it looks reasonable. However, Whisker in Xfce is superior, and it can also be resized. Brisk did not have an option to change its height and width, resulting in partially cropped menu entries. That just looks odd. Could be a very neat menu, just needs more polish. Well, I invested time making things right. This is a good thing about MATE. It's predictable, and you're making progress. One may argue that none of these woes are needed to begin with, but at least you can resolve them in a good way. 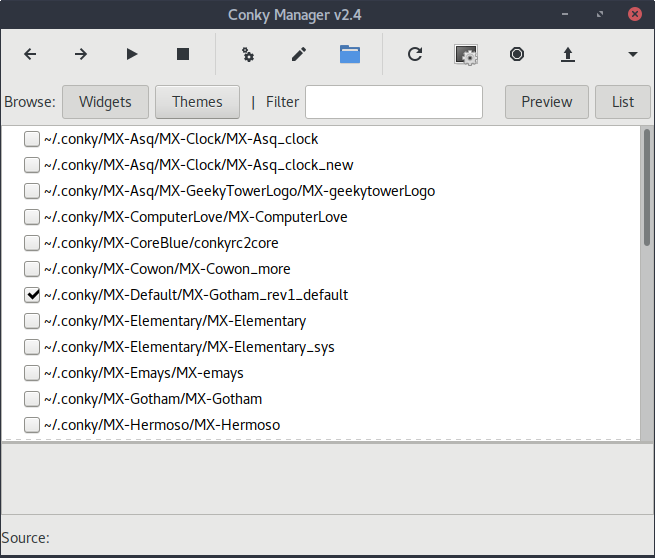 The Conky fix was an odd one. I edited the selected (default) widget. Apparently, it was set on pseudo-transparency, but it needs full transparency. In Xfce, it's the other way around. The system area is a tough one. At the default 24px height, the MX Update icon is completely out of place. But if you resize up and down (even by one pixel), it will center itself correctly. Going up to 36px or alike makes icons pop up in size in a rather unpredictable manner. The Bluetooth icon did not cooperate, especially once you toggle the service to off. The system clock remains small - and flushed too much to the right border. I didn't notice any spacers in the panel item options. Size, spacing, all sorts of effects right there. Eventually, beauty and style were achieved that day, slowly but surely. This was a tough one. As it turns out, there's a screensaver. And it would not let me type when I tried to unlock the screen. I had to open a virtual console and kill the program. Hardly a security measure in that sense. Then, logging out and going back to Xfce, I realized that Wireless was down. What. So something is fishy here. After a while, I started having fun. Some fun. It wasn't an all-out revelation. MATE has a wicked duality about it. Simple and supreme ergonomics in certain areas, total archaic confusion in others. It works reasonably well, but then you cannot deny the advancement in desktop environments like KDE or Unity. MATE struggles when it comes to integrating multiple things together. However, it did the basics very well. Some of the stuff is distro-dependent too, but then multimedia and smartphone support, them be good. The file manager Caja is just right. The text editor Plume works fine. 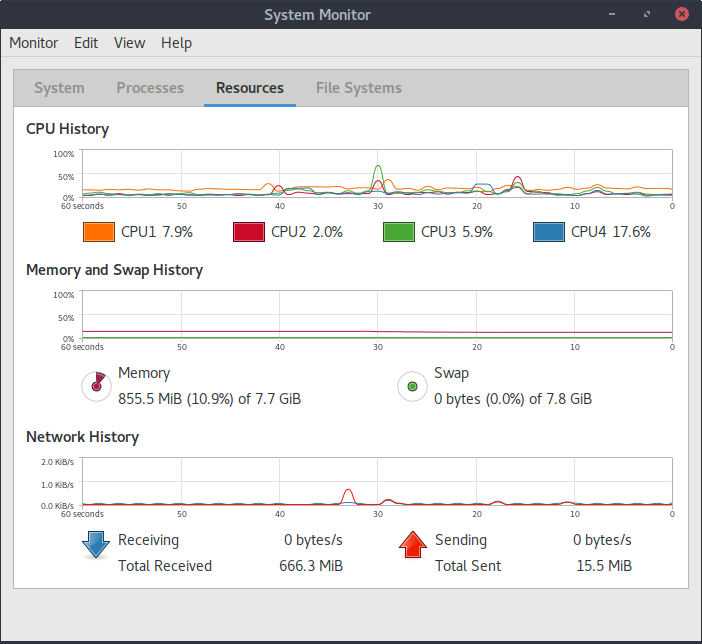 System monitor, check. You have a unique, self-supported and complete stack, and that's very important. Notice the Skype and VLC system area icons. Ugh. Everything was peachy. Fast, elegant, no errors. As it should be. 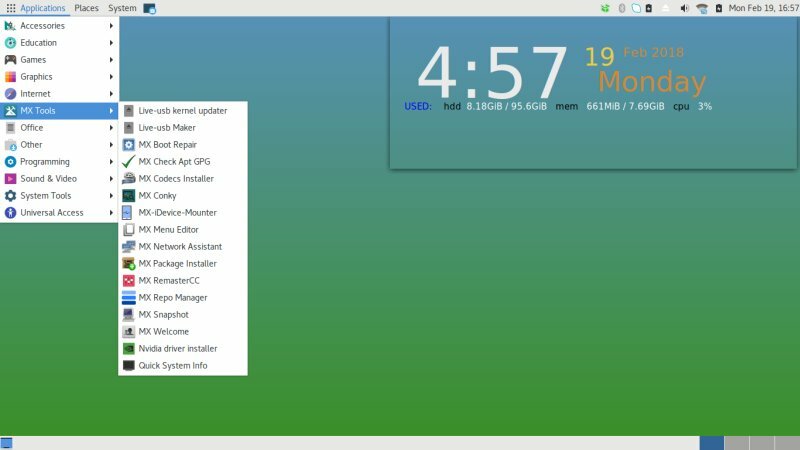 You've read my Gnome 3 distro reviews. 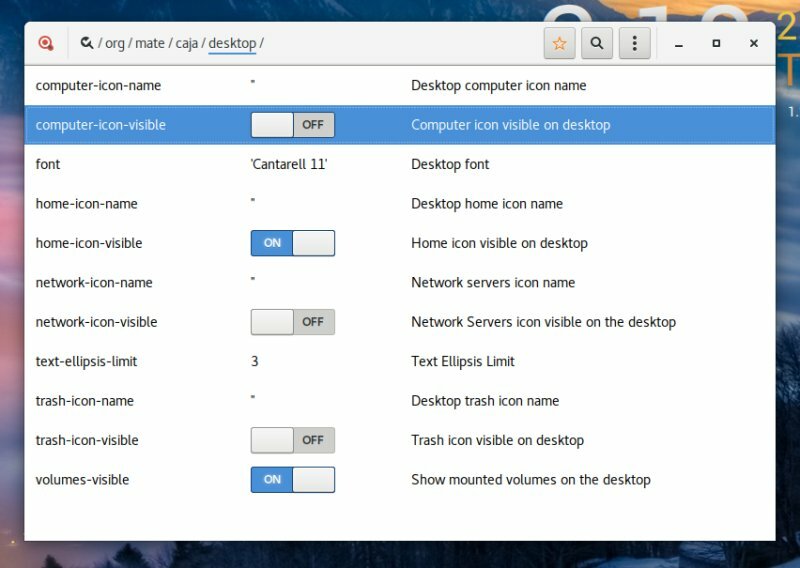 In its default form, Gnome 3 is absolutely useless. MATE, for all its faults, is still light years ahead. Gnome 3 may have better aesthetics here and there, and it's more tuned to the so-called online world. But MATE, even with its misbehaving icons and old menu, still offers more functionality and efficiency. 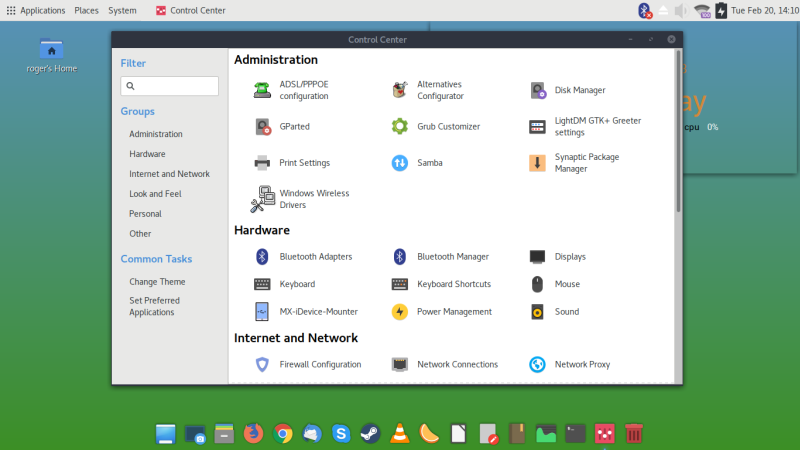 And if you want Gnome 3 to work well, you end up with a layout that is more like the traditional desktop. I'm not normally nostalgic. I don't believe in the GOOD OLE DAYS mantra. I don't believe in reactionary let's go backs. That does not work. But progress isn't a linear or constant thing. Gnome 3 has some good points, but it is not necessarily better than Gnome 2, nor the right technological step forward. Still, I don't think MATE is the answer, not when it remains adamantly 2006 - at least in some areas. 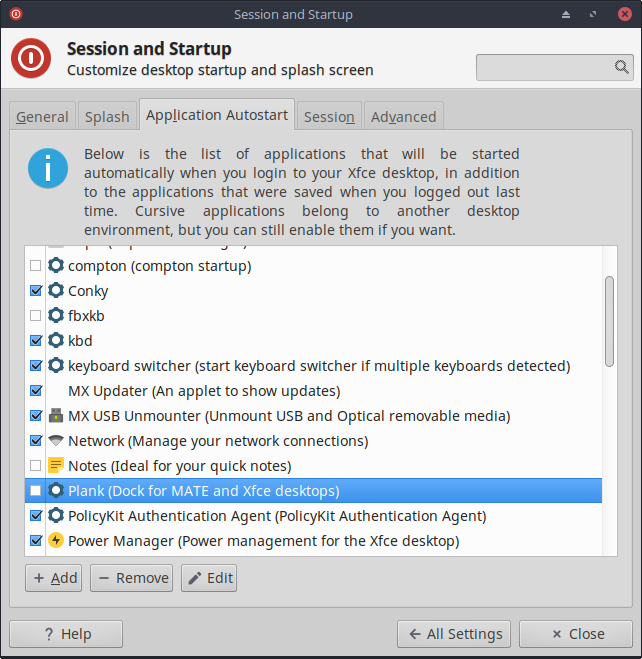 MATE has the basic formula nailed, but it must also accept that people now use all sorts of services and tools and gadgets that did not exist when Gnome 2 was first made. Those should be integrated to allow MATE to face modernity with pride. The other problem is - long-term sustainability. There's a lot of investment in Gnome 3 from the big players, Canonical and Red Hat. That means Gnome 3 has a good chance of pushing through, no matter how inferior it may be. MATE does not have that prospect, although it's fighting and growing admirably. But what if I had to choose between these two? ONLY these two. What do I pick? 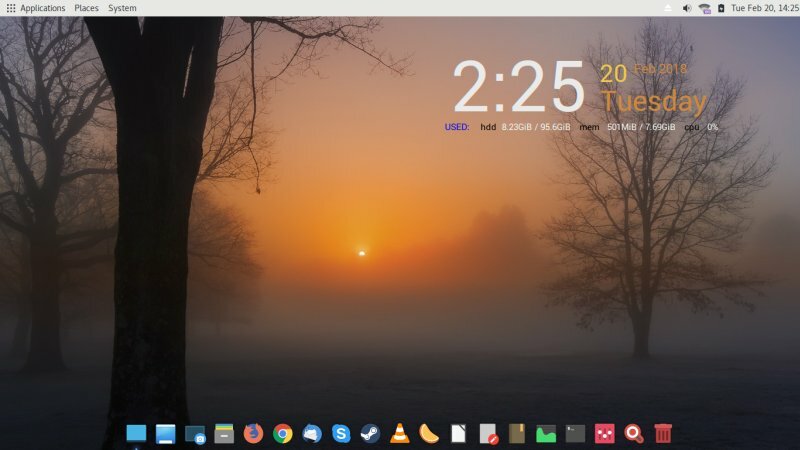 Gnome 3 with 11 extensions and a dock and all that, made to look reasonable? Or MATE, which still needs a little bit polish but is essentially right and light? Gnome 3 that eats resources like a glutton? Or this frugal and nimble sprinter? Gnome 3 that will be around in 2025? Or MATE that may not? Emotionally, the choice is obvious, but you can't pick software with emotions. That's not the right way. If I had to use default Gnome 3, the answer is dead easy. It's not even a choice. MATE, of course. But sensible people have created these layers that moderate things AKA blessed extensions, and the answer is no longer so dead easy. Mathematically, it's a graph, MATE starts high, Gnome 3 starts low, and at some point, they converge. I don't have a simple recommendation for you here. After testing MATE for a brief while, I went back to Xfce, to see what gives. Like I said earlier, I had to edit certain settings to get the expected desktop layout back. I also disabled the unstable repo, uninstalled MATE, and after this, the MX Linux behaved properly. But that's only a trivial housekeeping detail. 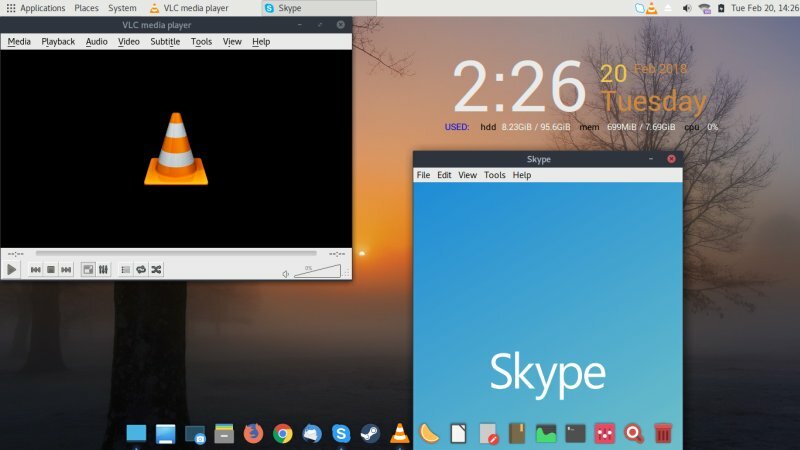 The more important side of this comparison is - what does MATE offer to desktop users, and more importantly, what does it offer that other desktop environments, especially those that label themselves as frugal and lightweight, might not have? 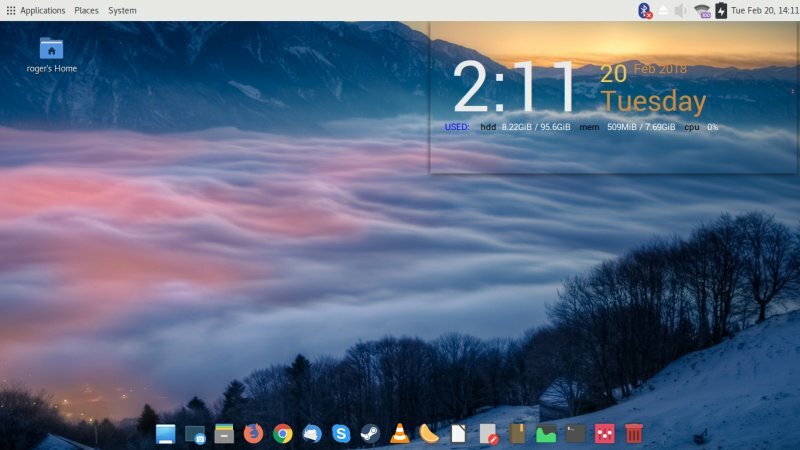 Looking at the Xfce setup, you can add panels top and bottom, you can use docks, even the same Plank setup that I used here. You can use a full menu, with inline search. Looks wise, the two almost have a parity. The same is true when it comes to performance, and then both offer the same range of goodies, including plugins, codecs and hardware support. 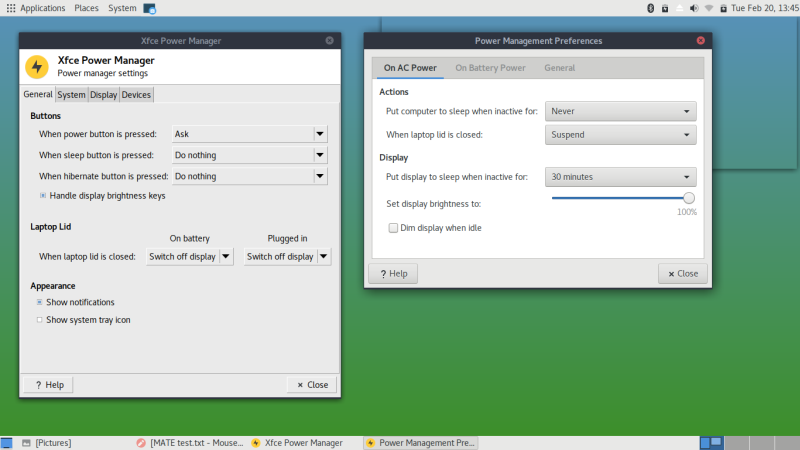 Neither MATE nor Xfce have the same level of integration or power management like Plasma, for instance. But they are still reasonably good, in equal measures. And that's part of the problem really. Compared to MATE, there's nothing that Xfce can't do. It has taken the flag of the lightweight distro and carried it on well, evolving, improving. In fact, stock Xfce does seem ever so slightly more polished than MATE. Small things. But they do make a difference. At the end of the day, it is possible to create a stunning MATE setup. But the problem is, most distributions do not ship with MATE, or they do not ship with MATE polished to a level that rivals Xfce setups. Perhaps because most of the focus is indeed on Xfce and Gnome 3, but that's the simple reality. Ultimately, it does not have the WOW effect to beat Xfce. It's not a damning verdict. Just an observation that in a world of limited resources, two almost identical setups hardly make sense. Overall, MATE 1.20 is a nice desktop environment. It has its legacy quirks, especially when it comes to panel management and overall cross-integration between programs. But it can be styled and tamed and used with flair and elegance. However, you do feel that it's aged in some areas, and that those areas remain neglected. Modern does not mean better, but some aspects of the 2018 computing model are superior to what we had a decade ago. The same way some aspects of MATE (Gnome 2) remain better than the touchesque flat-fest we have today. 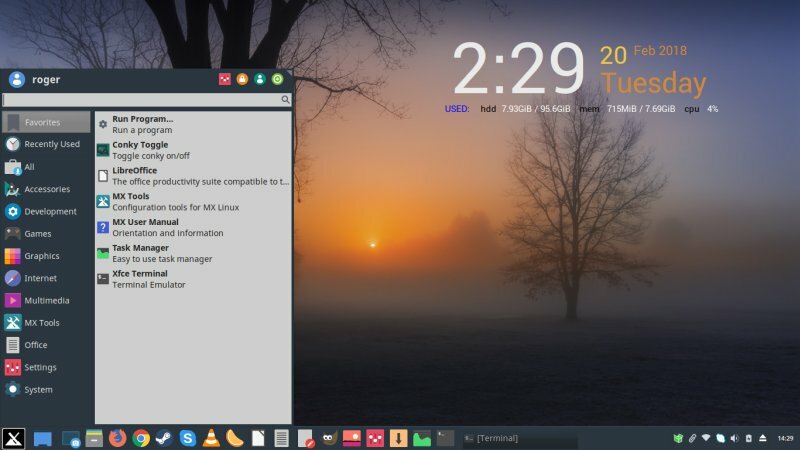 Xfce seems to have weathered these changes more successfully, but then it also had no identity crisis, no betrayal, and it benefits from more overall focus and attention. MATE not only had to fight Gnome 3, it also has Cinnamon to take into account. 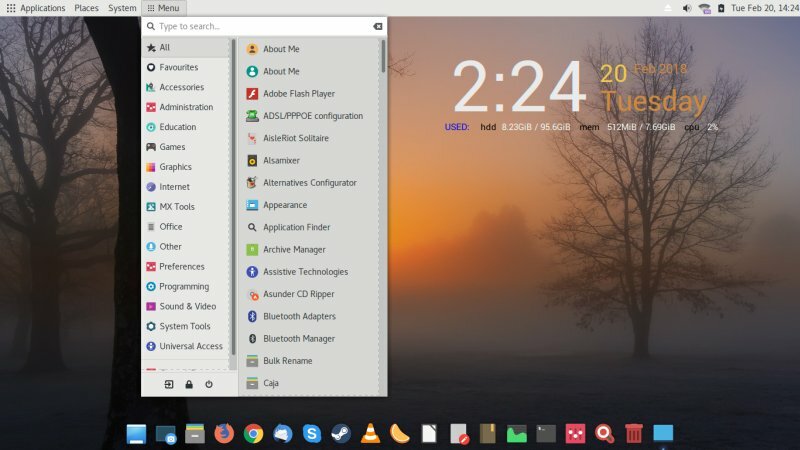 Those aside, if you do want an old-school, no-nonsense desktop environment, MATE is a good choice. Perhaps not the best one, but it will serve you loyally without any bells and whistles. Just be ready for an odd ghost of the past striking at you now and then. Remember, once upon a time, I didn't like Xfce, like not at all, and look where it's now. So MATE has survived the rite of passage, and it's evolving steadily. 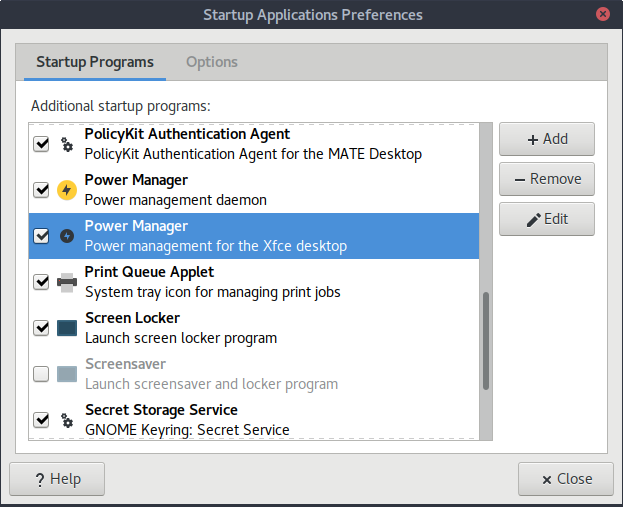 The next step should be pro looks, tight integration and some acknowledgment of modernity, on a system level, and perhaps it could become the desktop environment that Gnome 3 should have been in the first place. There's still hope. Keep an eye, and let's see what happens. I guess that would be all.